Clearlines	There are 11 products. 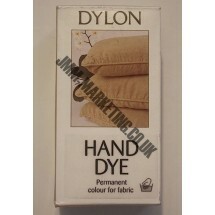 Dylon Hand Dye 50g Beige. Dylon Pure Colour 20g Navy. Dylon Pure Colour 50g Navy. Dylon Pure Colour Thickener 30g. Ocaldo Ready Mix Poster Paint 284ml - Copper. Silk Boxer Shorts - Small. Silk Waistcoat White - Small. Striped Cotton - Blue/White 60" Wide. Sold by the metre.